Every year the Japanese students come, it is always essential that we find them accommodation close to the building site. Usually when an area is affected by a natural disaster, options can be limited. This year, there was only one option. Last summer as you left Chandrapuri you would only have to drive a few kilometers further down the road before you would find a thriving tourist village boasting no less than 20 hotels stretched along the banks of the Mandakini River with stunning views of the majestic Himalayas. One lone hotel sadly was left off from the prime real estate and set back from the river on the other side of the highway. 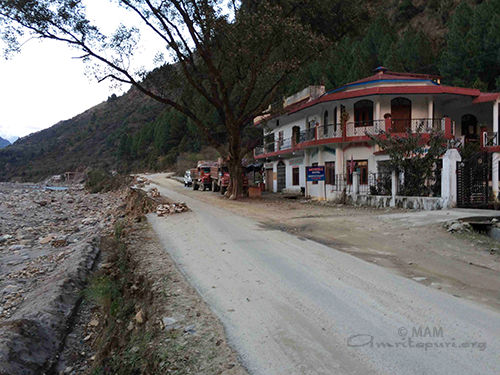 Today as you leave Chandrapuri and continue driving north, there is only one hotel left from that tourist village. 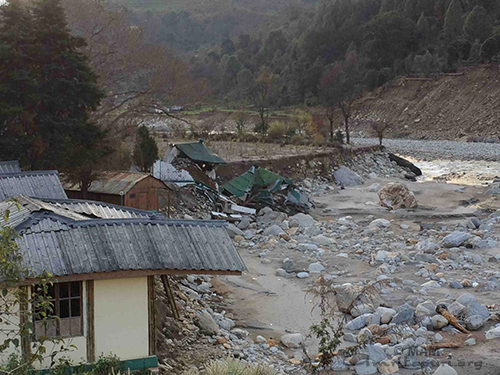 Mr JP Nautiyal, the proprietor of the Monika hotel, manages the last remaining hotel in the area. He witnessed all the other 20 hotels across the road, one by one fall like dominoes into the raging floodwaters…only his survived. 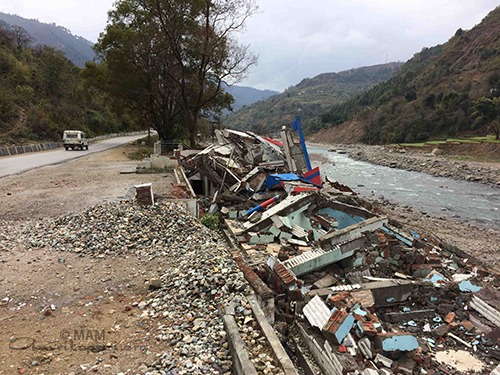 Even though his hotel remains, the tourists who once passed through this area on the way to Kedarnath further up the road have all but vanished. Soon when the official pilgrimage and tourist season begins Mr Nautiyal fears the poor state of the roads into the region will keep many tourists away. Fortunate for Mr Nautiyal, the rebuilding season is about to start and he will have the honor towarmly host all the Japanese students next week as they take over his entire hotel, kitchen and restaurant.